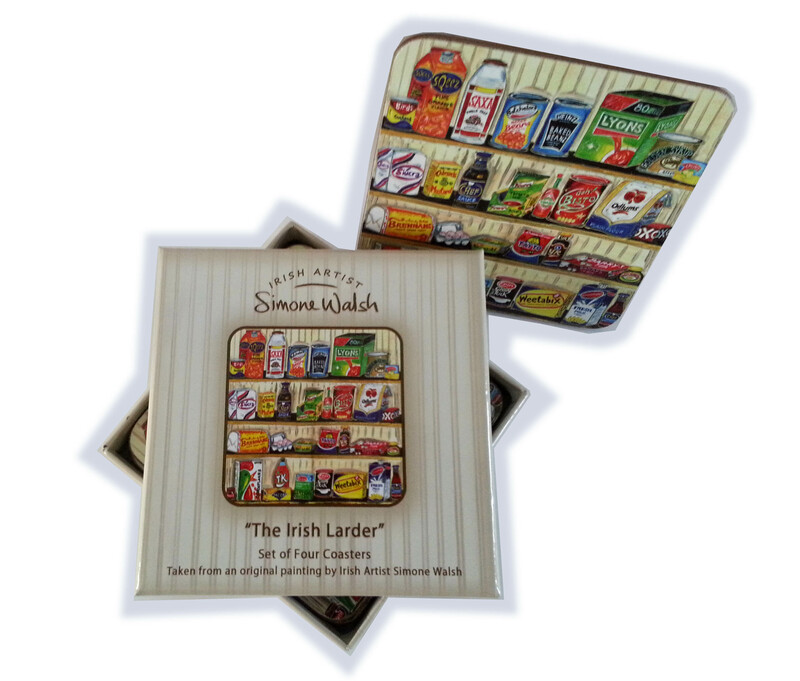 Boxed set of four matching coasters. 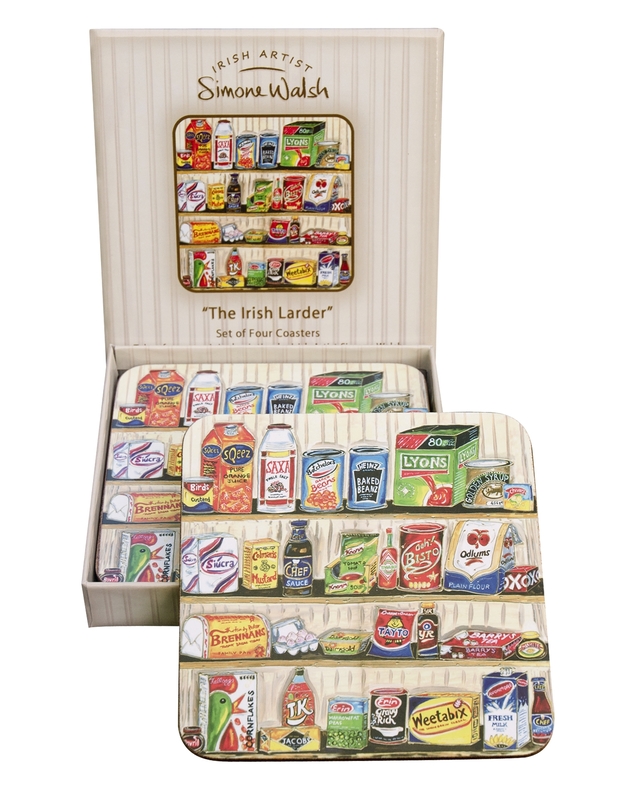 Taken from Simone’s original painting, The Irish Larder design is inspired by her memories of her mammy’s larder, always full of her favourite food staples and treats! Boxed set of four matching cork-backed coasters featuring the best selling Irish Larder design. 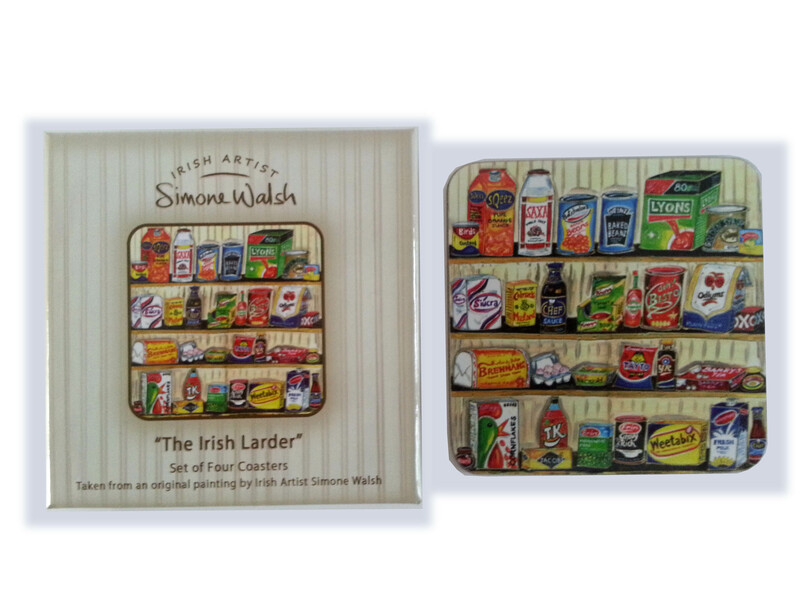 These vibrant coasters have a gloss finish for ease of cleaning. 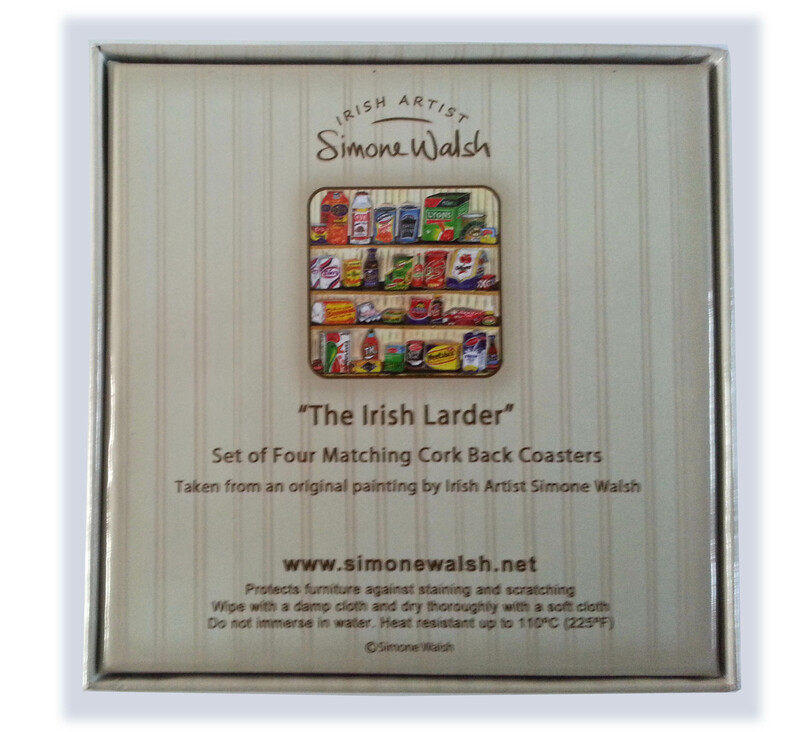 Each coaster measures 10cm x 10cm. Protects furniture against scratching. Heat resistant up to 110 degrees C (225 degrees F).